A gold stripping solution process may take some time, or sometimes hours. Depending on the thickness of the gold plated material. 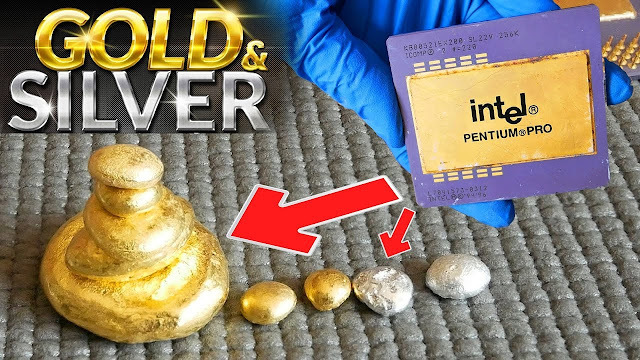 Today I will test with the old CPU Computer Chip and gold fingers electronic circuit board. 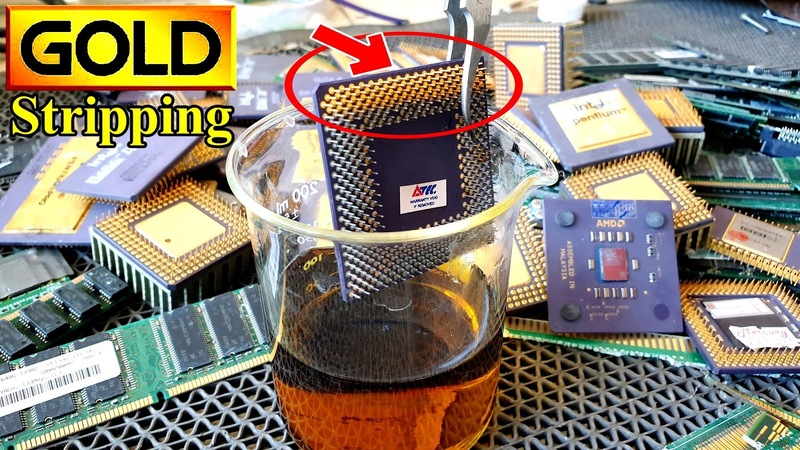 gold stripping solution in a dry form and upon dissolving in water adding cyanide, it worked very nicely to strip gold layers from semiconductors without damaging the substrate. Time 1 minute 30 seconds for gold fingers electronic circuit board. Gold will be made into a solution. Oh and other materials remain the same. 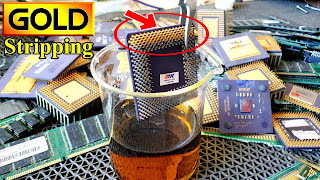 I will test with the old CPU Computer Chip Ceramic. Let's see how long it takes. 6 minutes still have a little gold stuck. It takes time Longer solubility For thicker gold. I will soak into the gold stripping chemical further. 10 minutes still have a little gold stuck.